16:39 (GMT+4) Arab tourists injured as a result of the bus crash in Azerbaijan’s Ismayilli district, were treated in the Shamakhi District Central Hospital, Trend learned from the hospital. In total, 16 people were treated for medical treatment; 10 of them were sent to outpatient treatment after first aid and other six placed at the Surgery Department of the hospital. 16:05 (GMT+4) Two people were killed and other 16 were injured as a result of a bus crash in Azerbaijan, traffic police department told Trend on August 30. 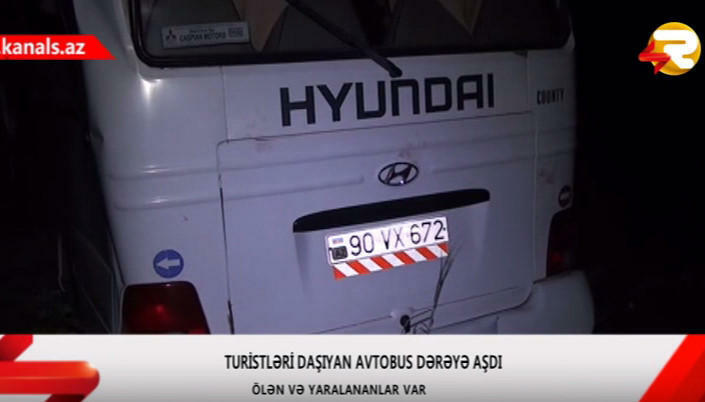 A Hyundai minibus with tourists from Arab countries got in an accident on Aug. 29 evening on its way from Gabala district to Baku. The accident happened in the Ismayilli district, as the driver lost control of the bus and it overturned. An investigation is underway in connection with the accident.